1 in 100 people suffer from schizophrenia, our psychiatrists and psychologists work with people suffering from this illness day in and out aiming to reduce stigma and treat you with the most up to date research and clinical skill. Schizophrenia is where an individual behaves in an abnormal way. Individuals suffering from Schizophrenia are unable to identify what is real and unreal. People with Schizophrenia often hear voices or believe things are happening to them which in actual fact aren’t. This can cause the individual to feel withdrawn and become confused and fearful of the outside world. If you believe you are suffering from some of the symptoms stated above therapy may be beneficial to you. Schizophrenia can be difficult for an individual to live with; it can cause confusion for the individual and make basic tasks impossible. Therapy has been shown to dampen down symptoms and allow for individuals to lead a relatively normal life. Types of therapy offered for Schizophrenia at The Blue Tree Clinic? It may be that our team believe you would benefit from medical help as well as therapeutic help in which case we may suggest private psychiatric treatment where a psychiatrist will assess you and decide whether physical tests or medication would help. Schizophrenia has been shown to be effectively controlled via the use of antipsychotic medication and therapy combined. 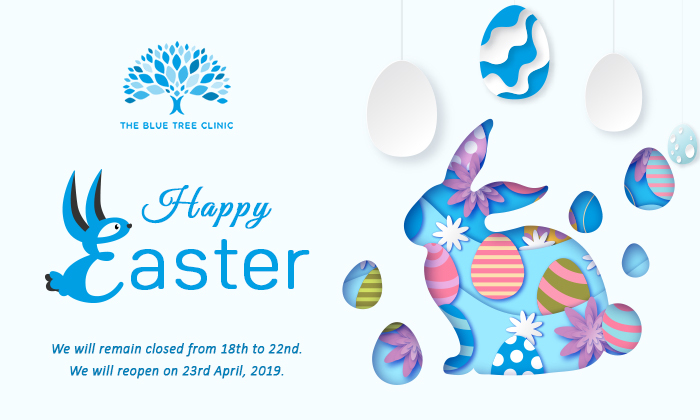 How can The Blue Tree Clinic help you? Schizophrenia is a condition, which for many is hard to live with. At The Blue Tree Clinic we want to help you. We have trained therapist and psychiatrists who are ready to help you. Upon assessment we will ensure that we give you the best possible treatment which may be a particular type of therapy which we believe will be successful for you, or a variation of many different types of therapy. As well as this we may believe that medication can help you. Your therapist will help you to explore the potential causes of your Schizophrenia as well as finding what triggers your Schizophrenia in day to day life. As well as this your therapist will help you to find ways to control your Schizophrenia as well as ensuring that you are able to apply this in the outside world. You will be taught tools and techniques which you can then use when you finish your therapy with us.